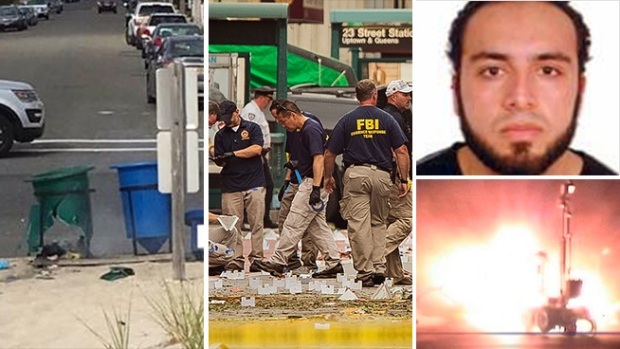 The man accused of setting off bombs in New Jersey and New York last month has been released from a New Jersey hospital and was transported to a hospital ward at a state prison, a senior law enforcement official told NBC 4 New York. Ahmad Rahimi had been kept under guard at University Hospital in Newark since he was wounded in a Sept. 19 shootout with police in Linden. But he was moved to a hospital wing of a state penitentiary in Trenton on Tuesday afternoon, the official said. It comes less than a week after Rahimi pleaded not guilty to attempted murder and weapons charges from his hospital bed in connection with the gun battle outside a bar in the northeastern New Jersey town.